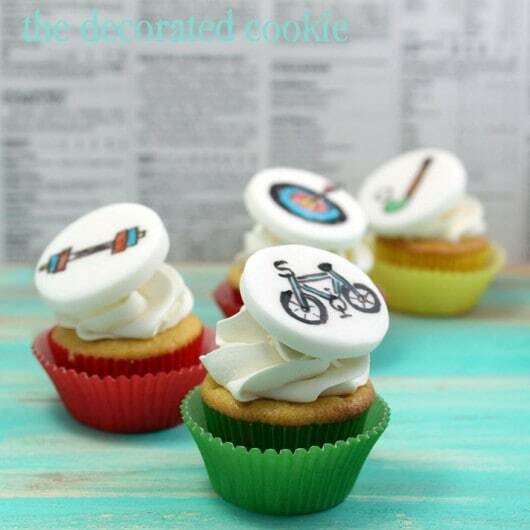 Olympics cupcakes: Mini cupcakes with fondant toppers with every sport. Olympics cupcakes: Top mini cupcakes with fondant cupcake toppers featured all of the sports drawn with food coloring pens. 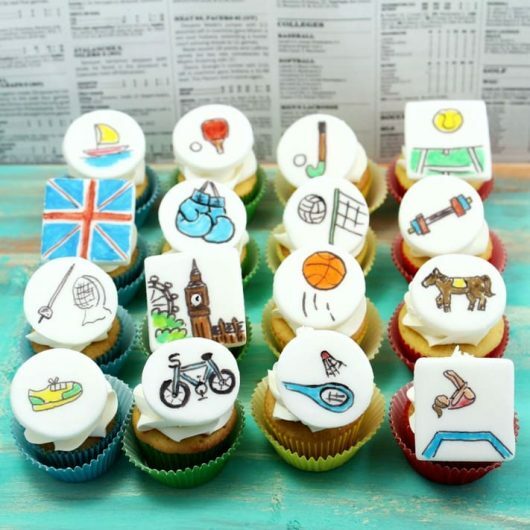 Mini Olympics cupcakes are the perfect addition to your Olympics party. 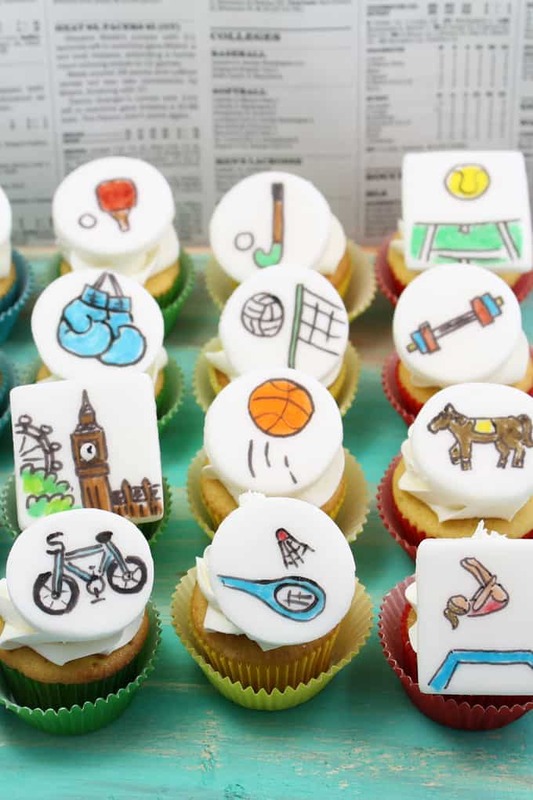 Personalize the fondant cupcake toppers with each sport drawn with food coloring pens. You can change the cupcakes for winter or summer Olympics, and include art from the hosting city. Do you know Bird? Yes, of course you do. Wait, there’s one or two of you who don’t? You must immediately. She’s an insanely talented party gal. This is the Bird’s Party blog. And she also works her techno-graphic magic to create fantastic magazines, available both free online and as a paper copy for purchase. You’ll want to see the latest issue for Spring/Summer 2012, and I’m not just saying that because yours truly is honored to have a couple of her own ideas in there. I’m saying that because it’s 182 pages of bright and colorful ideas and how-tos for birthday, Olympics and graduation parties. Oh yeah, and also 4th of July, golf, mother’s day and Spring parties. And a pancake brunch and a circus party and a street party. Themes range from rustic to modern, classic to whimsical. 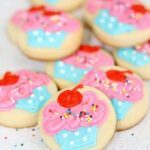 Think fondant chickens, pie pops, candy keys, clown or mermaid cupcakes and pineapple centerpieces. All in one issue. Read the magazine online for free HERE. Buy the hard copy of the magazine HERE. I was lucky to contribute some Olympics cupcakes. 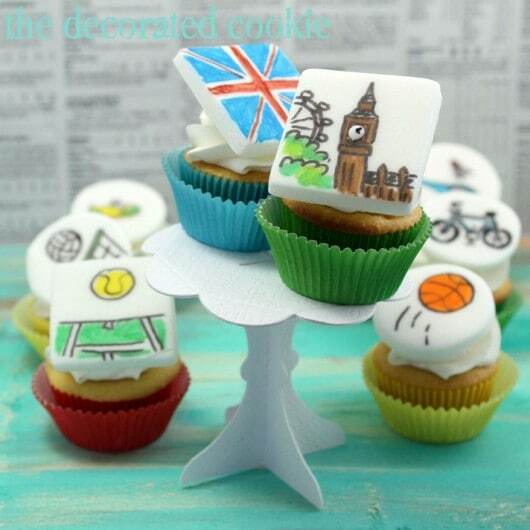 First, I made these mini Olympics cupcakes with fondant toppers that represent (almost) all of the sports and a couple for the host town, London. 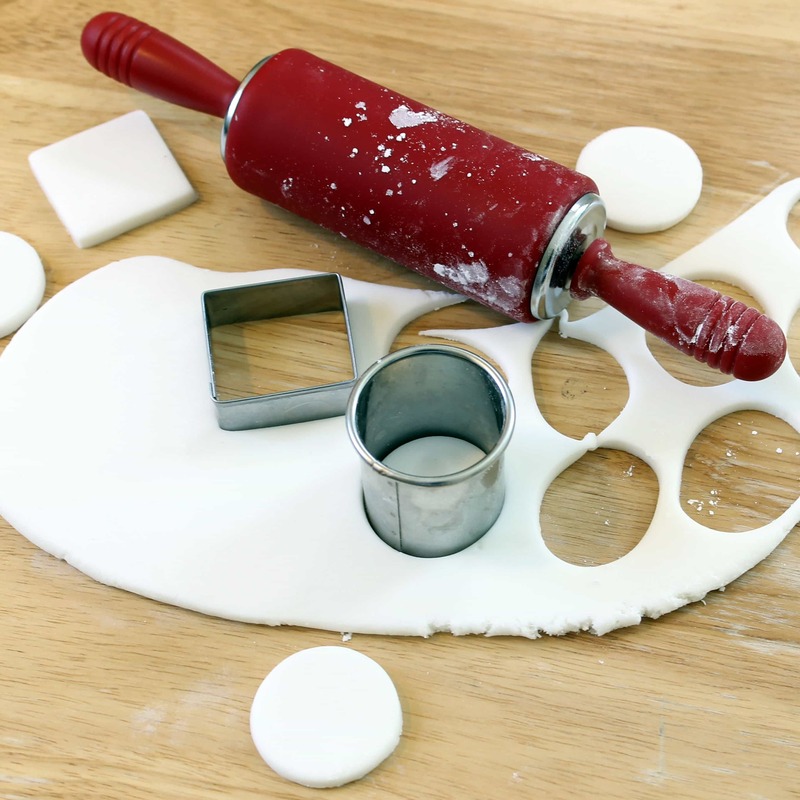 *Find the fondant and cookie cutters at the craft store or specialty cake decorating stores. For food coloring pens, I suggest the Americolor Gourmet Writer Food Decorating Pens set of 10 and the FooDoodler Food Coloring Markers 10 Pack Fine-Line, both available in specialty stores and online. 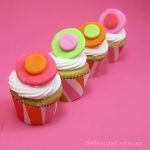 **To decorate mini cupcakes, check out this post here. 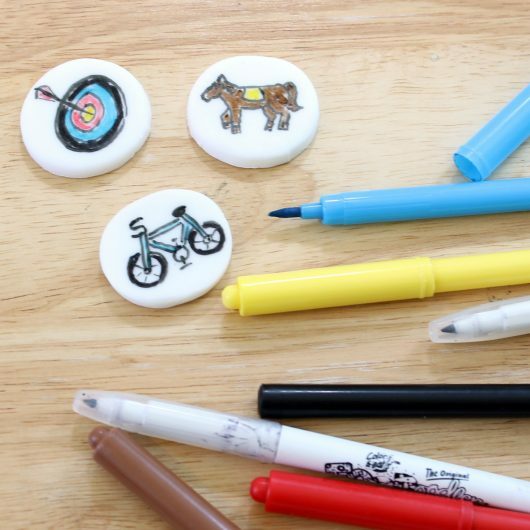 Use the food coloring pens to draw your designs to represent the different Olympic sports or scenes from London. Set aside on wax paper. 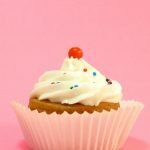 Prepare standard size or mini (shown) cupcakes, and set a topper on the frosting just before serving. 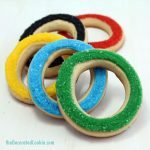 I also made some sparkly Olympics rings cookies, a bigger version of bite-size cookies I made a couple years ago. For how-tos on making Olympics rings cookies, click HERE. 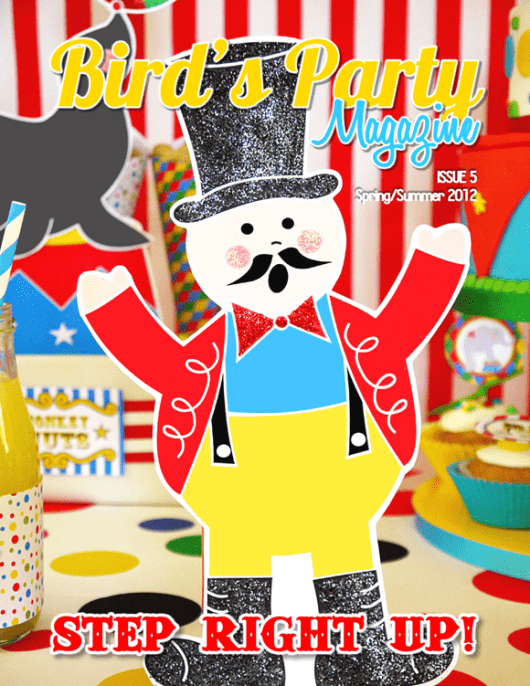 The how-tos for both the cupcakes and the cookies are also found in the Spring/Summer 2012 issue of Bird’s Party Magazine. Enjoy!! And thank you to Bird! 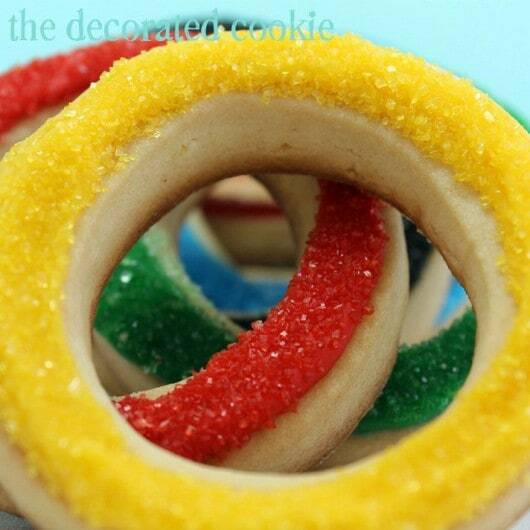 All are incredible, the cupcakes with sport like me but I love the Olympics rings. I`m going to copy your idea because I´ll want to public in my blog!! Congratulations on being featured in Birds Party Magazine. The Olympic themed treats you made are fabulous! These are fantastic Meaghan, love them! Love that you’ve included some British elements such as the union jack flag to show it’s London 2012 olympics. I have to ask though, where’s the little retro tins on the street corners? Haha, joking, totally! I recently catered cupcakes for a party on Easter Sunday. They wanted an Olympics/Great Britain theme with red/white/blue so this got me thinking and I took some inspiration from you and did gum paste bunting flags with coloured union jacks and the england flag. If you have a moment, please come check them out. I sooooo loved doing them, can’t wait to do more colouring on icing, lol. We’re having a stall in May too so I’m going to be doing the same flags, can’t wait. Might take insipration from your designs too. I’m not that good at drawing though! Congrats on being featured, Meaghan! 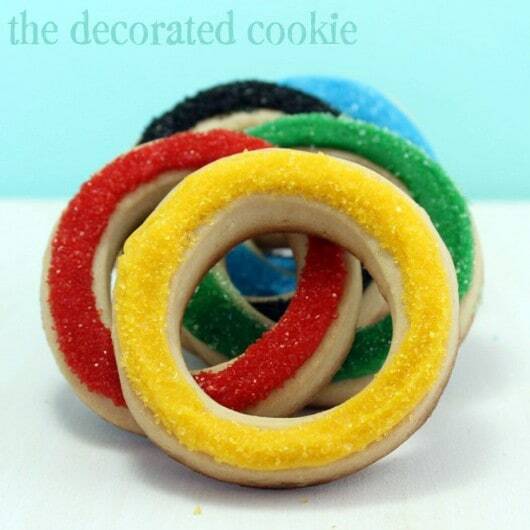 Your cupcakes and your Olympic rings cookies are fantastic! Love them! I love your brain! It amazes me!